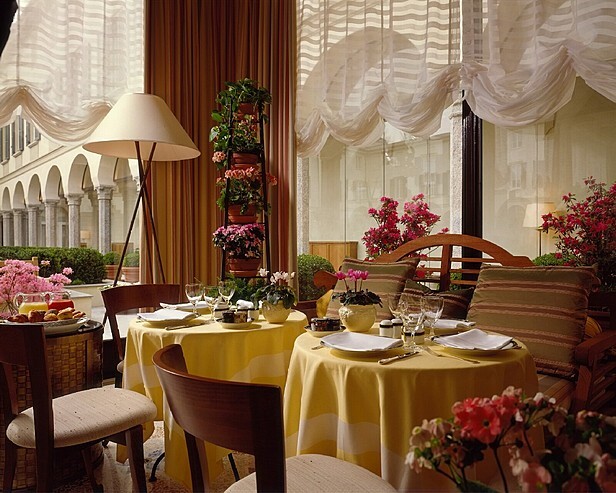 One of my favorite cities is Milan and when I went there I discovered the beautiful Four Seasons hotel on Via Gesu. The moment I stepped in there I was taken by the beauty of this place combine by the amazing history behind it. 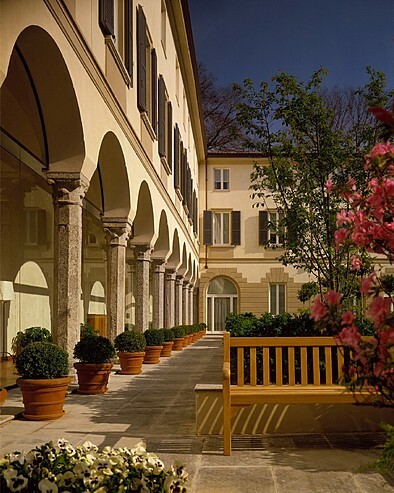 The hotel is set in a former 15th century convent built in the Renaissance style featuring beautiful restored frescoes, vaulted ceilings, and a beautiful spiral grand stair. The interiors of the hotel are done with the best of contemporary Italian style to highlight the beautiful architecture of the building. 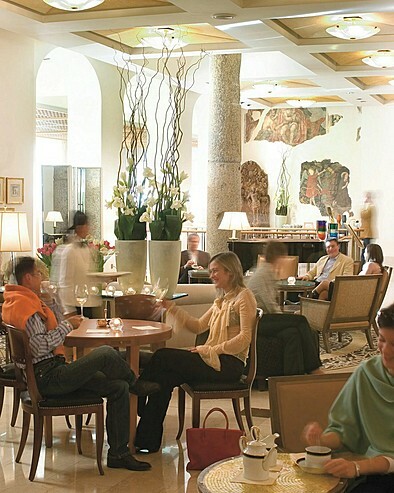 My favorite thing about the hotel was the frescoes you can see all over the place that remind you of the rich history of the place but also blend perfectly with the decor giving you a sense of peace while you enjoy your coffee with biscotti. By the way, the hotel is located right in the heart of the Fashion District just a few steps from Gucci, Armani, Versace and Valentino - just to name a few! I leave you day dreaming of this beautiful place wishing you a great Thursday! The staircase looks amazing. 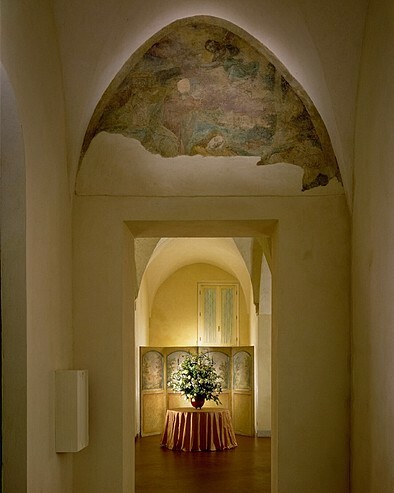 Frescoes really do make a place very special. Thanks for sharing sweetie! Have an amazing day! What beautiful images! It looks like a lovely place to stay. Lucky you! Just what a needed on this cold morning to warm up inside. I have traveled to italy, but only to sardinia- which is beautiful but I do regret not visiting Milan. 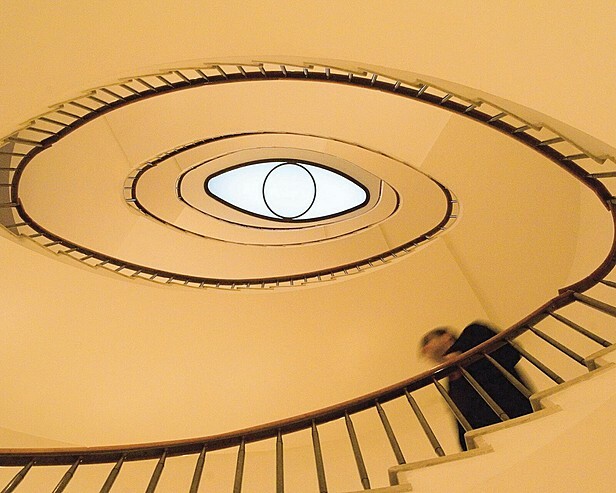 The eye staircase is incredible! Actually, it all is. What a beautiful place. 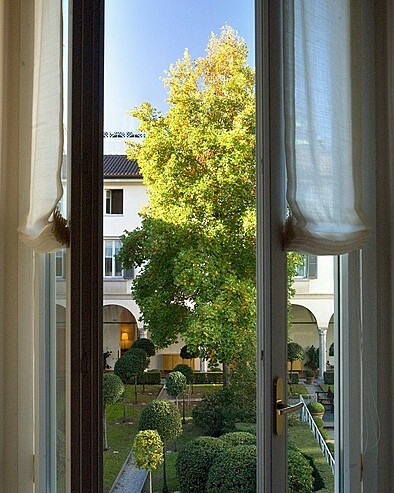 I haven't been to Milan (yet) -- I'm putting this on my list of places to stay. 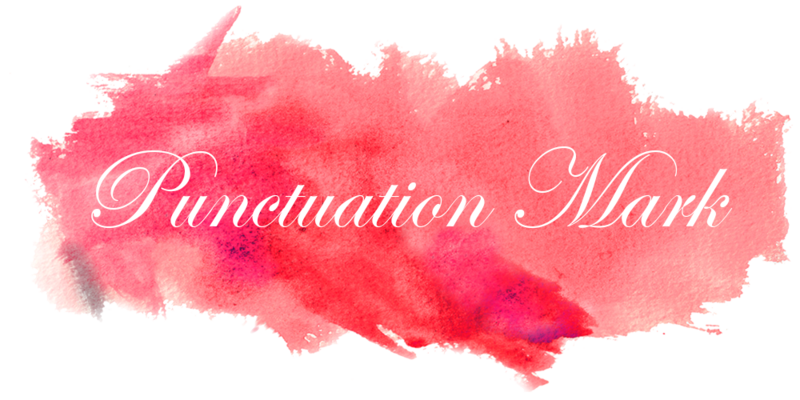 Such an appropriate title for these lovely images! Definitely, beautiful places that I would love to be. What a gorgeous setting! I haven't been to Milan in two years but never found it as interesting as some of the other Italian cities. I really should give it another chance! One of my all-time favorite hotels. 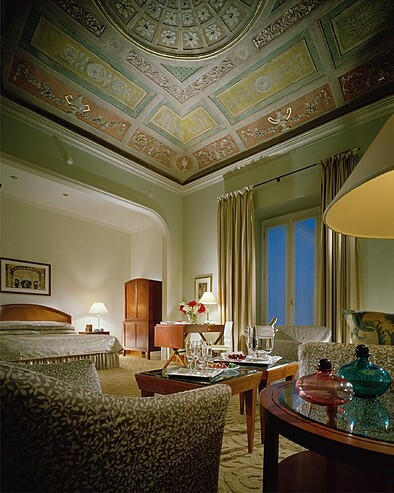 We were only supposed to be in Milan for the day, but the hotel was so gorgeous we stayed 2 extra nights! I loved it there, and I'm so glad you did, too! I want to be there right now, it looks so much warmer than here! Milan is one of my favorite cities! I love this hotel, we tried to stay there but it was booked on both our stays so we ended up at the Grand Hotel, which is wonderful in a different way. But I hope to go back and stay here another time! This seems like a lovely hotel! I am daydreaming for sure now! One day I will go with Mr. Branflake! Wow do I wish I could escape for a mini getaway there! I need to getaway to one of these places. That is an incredible stairwell. That place looks like heaven. Wow, the decor is just gorgeous! I love Milan! This hotel is gorgeous! That staircase is really interesting.. with it's eye-like outline. That last photo is calling me to jump in. Seems like a really beautiful place! Thanks for sharing such beautiful images! Definitely bookmarking this! What an amazing place!!! I want to go now! The picture of the stairs is incredible! Just beautiful -- I say, yes please! Such beautiful details throughout... I especially enjoy the staircase, the ceiling in the suite as well as the exterior. How lovely it would be to wake up there! Milan is a great city! i have not had a chance to stay at the four Seasons, but they are my favorites hotels and resorts, Was quite disappointed by the Whistler (Canada) 4 Seasons though, the design was very average but the service impecable.